Verizon has the early exclusive on Motorola/Lenovo's new Moto Z phones, and that means it will also be the first to sell the Moto Mod accessories. Lenovo neglected to announce pricing at the event, but now Verizon's mobile app has spilled the beans... the very expensive beans. 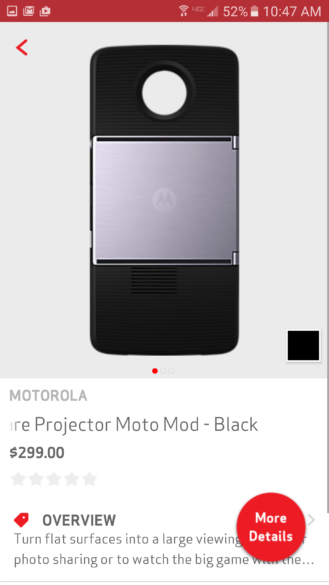 That projector attachment will cost a whopping $300. None of these are listed on the Verizon website yet, and some of the images in the app appear to be placeholders. We're not positive on the price for some of these as the descriptions don't match the images. 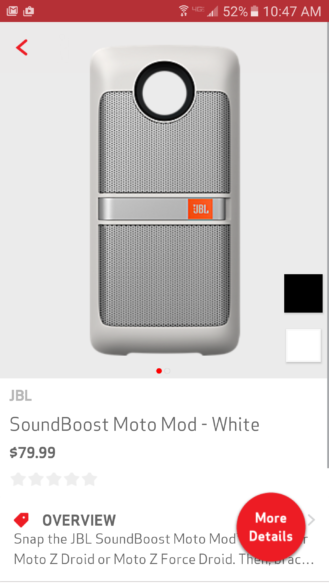 The JBL SoundBoost is listed at $79.99, and that matches what we saw previously (it was the only one on Verizon's site). The Insta-Share projector is listed at $299, which seems like way, way too much for a phone accessory. The style shells and power packs are a little convoluted. Several of these are using the same images right now, and some variants weren't announced at the event. 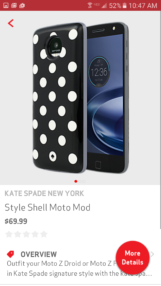 Verizon lists style shells from Tumi and Kate Spade for $69.99. Moto/Lenovo only talked about those brands in reference to the battery covers, which are listed at $89.99 (standard) and $99.99 (wireless) in the app. If the style shell versions do exist, Verizon plans to sell them for $69.99. 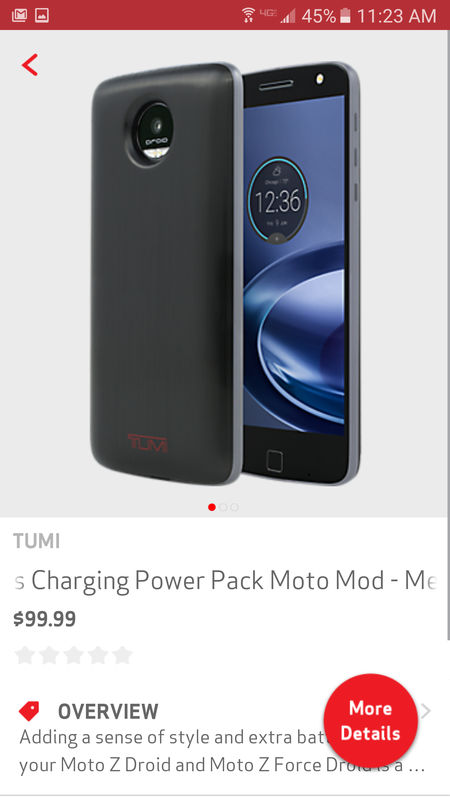 That seems like a lot when the battery version is only $20 more. 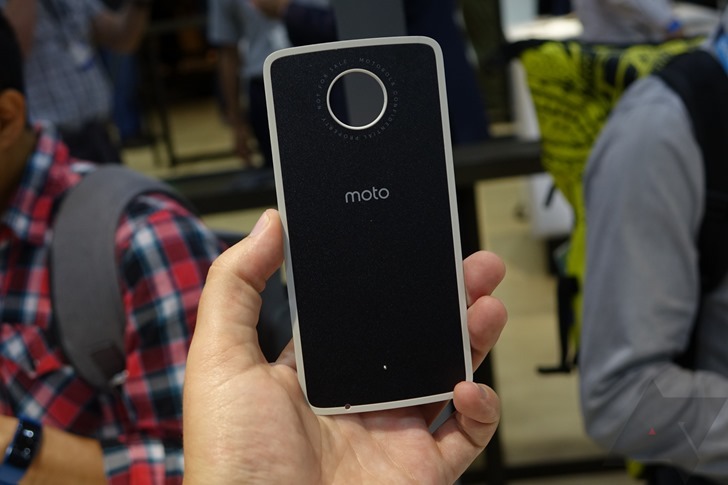 We reached out to Motorola to see about confirming the prices, but PR declined to comment.